Well, the seeds for this were planted a few months ago- as I was introduced to and connected with a fellow artblogger and graphic designer. After many emails and too many uncanny artistic and personal connections to be anything but a long lost sister, Paula and I are collaborating on a body of work, tentatively named, "of two minds". 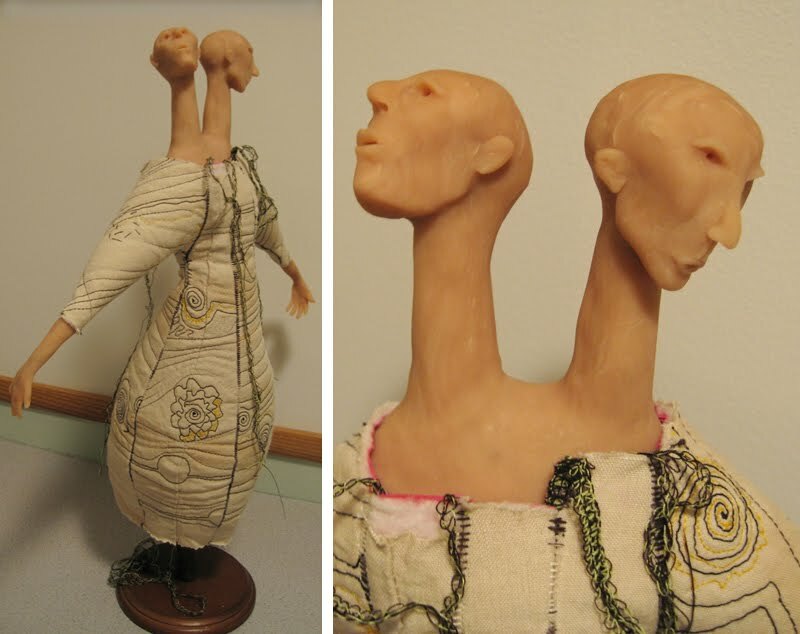 The body and quilting of the fabric are Paula's, the heads and hands are mine- we are visually finishing each others sentences and I think this will be the beginning of a beautiful friendship.